A highly skilled, bolt-on R&D team capable of supporting your innovation projects: large and small. 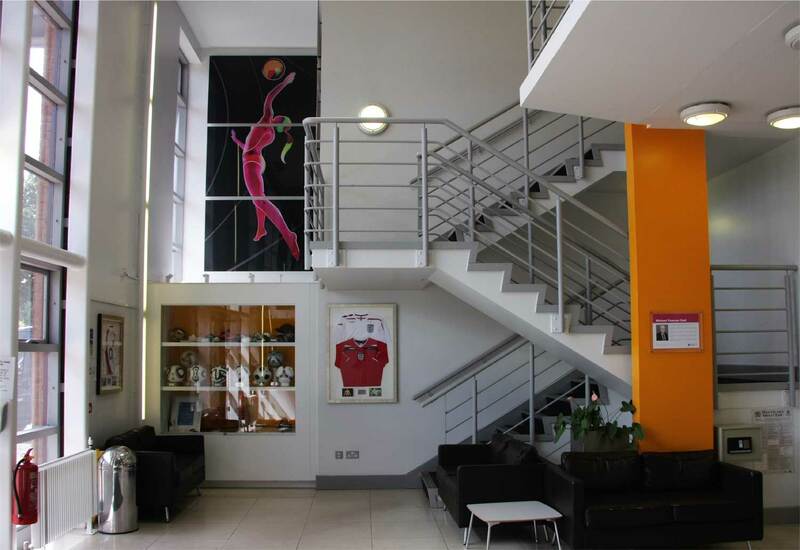 Progressive operates from space in the world leading Sports Technology Institute labratories at Loughborough University. Maintaining a small but highly skilled research and development team, we are primed to support your unique project requirements. Founded in 2001, by Ross Weir and Professor Mike Caine as a commercial B2B consultancy, the team provide validation, research and development support to the international sporting goods market and its related industries. The company has enjoyed working with many of the worldís best R&D teams within industry leading brands. With such partners Progressive bolts-on seamlessly to their established in-house teams, as for smaller partners Progressive can be a complete R&D team on tap. Progressive utilise high value resources across the Loughborough campus, and beyond, to discover valuable insights that can be used to drive improved product and service performance for our partners. Offering both tactical and strategic support, Progressive is an on-demand R&D service to suit your requirements, fast. When you need extra resource to successfully deliver your project Progressive is here to assist. Known as an insightful and practical entrepreneur, Ross has developed an industry leading breadth of experience across research, development, validation and innovation. As co-founder of Progressive, Ross is most proud of the incumbent and past team members whom he has enjoyed working with over the years. He continues to draw a huge amount of satisfaction from seeing the individuals he has had the pleasure to work with flourish and succeed in the wider global sports industry. An entrepreneurial academic leader, capable of delivering transformational change in complex, multi-stakeholder environments. Mike is well connected and respected within academic, sport and technology communities globally. Mike is most comfortable hanging out with those focused on building a bright future and being inspired by those who dream big! Olly joined Progressive in October 2015 off the back of a distinction for this MSc in Engineering Design at Loughborough University. With a passion for sport and engineering, Olly has experience in the Sports Technology world both through his undergraduate degree (Sports Technology BSc) and time in industry with Ping and Kookaburra. Olly describes himself as a driven and solution focused perfectionist and he has particular interest in sports footwear, water skiing and tennis. He is highly adept at delivering testing and leveraging analysis techniques for our clients. His spare time is spent immersed in sport, whether participating, competing or developing product concepts. He believes every problem has a solution. Some are simple solutions, others are more difficult to find. All of them are a challenge to achieve, that’s the part that brings him the most pleasure. workings of motion capture software and biomechanics. Biomechanist by education, Bertrand completed his Ph.D in 2011 at the “Institute of Intelligent Systems and Robotics” (Paris – UPMC) where he developed an innovative dynamic identification method for estimating the inertial parameters of the human body. In 2007, he completed a Master’s degree in Sport Science at the university of Toulouse 3 with a special interest in the influence of sporting expertise on the EMG-torque relationship. Emma keeps the business running smoothly. She is the liaison to our clients to manage the commercial aspects of each project. Behind the scenes, Emma handles all Progressives’s business administration. Jess is one of the newest members at Progressive, joining in March 2019. She graduated from Loughborough University in 2017 with a First class honors degree in Materials Engineering. Jess has experience within the sports industry, in particular impact protection and shock absorbing materials and products, having spent 14 months at D3O. She also understands, in detail, the product development process taking a product from the initial design and material development stage through to the commercialisation of a marketable product. As a sports enthusiast with a competitive nature, Jess is always up for a challenge, whether competing in her spare time or tackling a new challenge for a client! Seb joined the team in March 2019 shortly after completing an MSc with distinction in Sports Engineering at Sheffield Hallam University and has a Materials Engineering degree from Loughborough University. He has an international background, by nationality he is Polish/Canadian and speaks three languages fluently (English, Polish and French). Seb has studied or worked in Canada, Poland, Luxembourg, Switzerland and the UK. Seb enjoys playing a wide range of sports but his main passions lie with ice hockey and freeride skiing. His other sporting passions among others include climbing, Olympic style weightlifting, mountain biking and squash. Jeff is a Sports Scientist with a keen eye and experience for New Fitness & Wellness Products that can be invented, developed and innovated; with the ultimate aim of commercialisation to the benefit of the end user. Loughborough is one of the country’s leading universities, with an international reputation for excellence in teaching and research, strong links with industry and unrivalled sporting achievement. It is a member of the esteemed 1994 Group a set of internationally recognised, research intensive universities and has a reputation for the relevance of its work. Its degree programmes are highly regarded by professional institutions and businesses, and its graduates are consistently targeted by the UK’s top recruiters. Loughborough is also the global premier university for sport. It has perhaps the best integrated sports development environment in the world and is home to some of the country’s leading coaches, sports scientists and support staff. It also has the countryís largest concentration of world-class training facilities across a wide range of sports. As well as being the premier university for sport globally (QS higher education league table 2017), Loughborough also has a growing and dynamic portfolio of spin-out companies across all research areas. Progressive was spun from the Sports Technology Research Group in 2001, the group has successful created and nurtured 3 spin out companies to date. Progressive has benefited from the close associating with the University, its leading research groups and key business incubation activities. The company continues to work in synergy with our Loughborough based partners and the ever developing university campus.